Winter Haven Airport Flying High | Winter Haven Economic Development Council, Inc.
As you drive by the Winter Haven Municipal Airport, you’ll likely see one of the many planes taking off or landing. Chances are, the aircraft flying by may be seaplanes. But did you know that there are more than 80,000 flight operations per year supported by the airport? Since its beginnings as an airfield in 1925, the Winter Haven Municipal Airport – Gilbert Field (GIF) has undergone many changes. Owned and operated by the City of Winter Haven, the airport now provides a full range of services to the general aviation community, and is poised for even greater impact for our area. A 2014 Florida Department of Transportation (FDOT) economic impact analysis measured the annual economic benefits from aviation. The study included direct impacts (tenants/businesses at the airport, as well as airport construction projects), indirect impacts (spending from visitors who arrive via general aviation aircraft), and multiplier impacts. At the time of the study, the total output for the Winter Haven Municipal Airport was estimated at more than $20 million per year. Support from the City Commission has contributed to the advancements made at the airport. Commissioner William Twyford, in his role as liaison to the Airport Advisory Committee (AAC), has been a strong proponent of the recent progress. 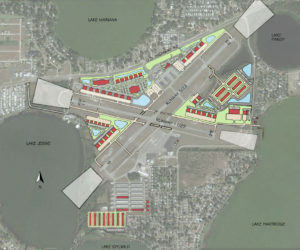 In October 2016, the City Commission approved a lease with the Seaplane Pilot’s Association so that the association can build its worldwide headquarters at the airport. This project ties in perfectly with the already established history of seaplanes at the airport. A well-known fixture at the airport, Brown’s Seaplane Base started in 1963 and has trained more than 50% of all the seaplane pilots in the country. Since the airport is surrounded by five lakes, and with dozens more close by, seaplane activity is a natural. A variety of construction projects are underway or planned for the near future, including a new entrance road, new fuel farm and additional taxiways. The majority of funding for those projects will come from either the Federal Aviation Administration (FAA) or the FDOT. An update of the airport’s 20-year master plan is nearly complete. This plan will identify improvements needed for existing facilities as well as future aviation activity demands. The City can use the updated plan to guide financial and development decisions for the airport. The plan has been approved by the FAA and will be presented to the City for approval. There has already been quite a bit of interest in developing the airport’s available land, some of which has US Hwy 92 frontage. The land can accommodate either aviation or commercial development. Having a general aviation airport in our community impacts both the local and regional economy. Who knew that one of Winter Haven’s economic engines would turn out to be an airplane engine? !